Share the post "Choosing to Treat Fibroids"
Have Fibroids? You’re not alone. Find out when you should get treatment and when it may be ok to skip over the option. Should a fibroid be treated if it is not causing me pain? Fibroid growth is quite common. As women age, they become prone to uterine fibroids, especially during their late child bearing years until menopause. It’s estimated that about 80% of women have uterine fibroids by the time they reach age 50. Therefore, most of the time, unless the fibroids are causing severe symptoms or affecting fertility, there is no need to treat them. Most physicians and health professionals agree, however, that unless fibroids are significantly affecting the quality of life of an individual, surgery or any type of procedural treatment should be avoided as complications may occur. Therefore, seeking out treatment is often at the discretion of the patient and one should consult their physician to weigh the costs and benefits of treatment. If you have fibroids and are considering treatment, please feel free to call the Fibroid Treatment Collective (FTC) at 866-362-6463 or contact us online for a free phone consulation. 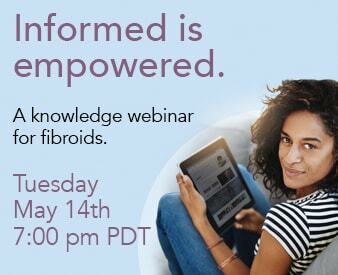 We will be more than happy to answer any of your questions related to fibroids and procedural options.